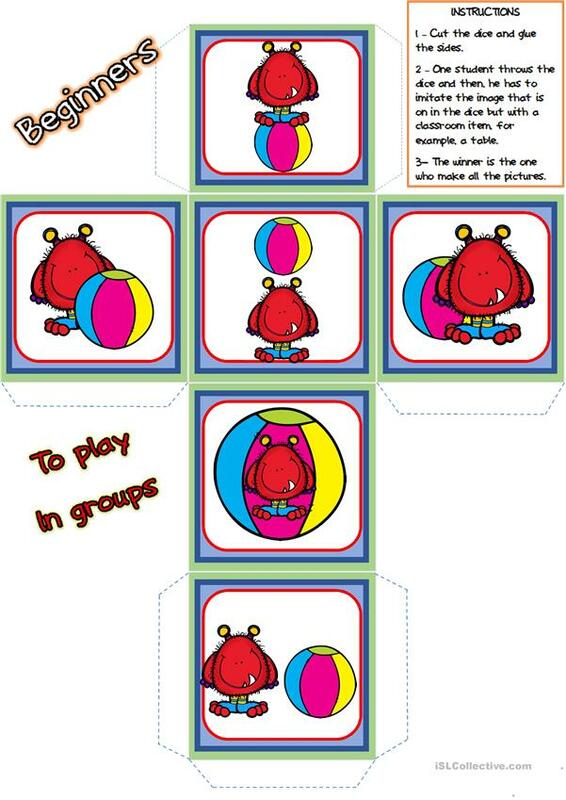 This game is useful to play with children with learning difficulties or with special educational needs. It is necessary a classroom item, for example a table for this game. In groups, one student throws the dice and he/she has to make the picture that is in the dice. For example, the picture shows "on", so the pupil has to say "on the table" and he/she has to sit down on it. I hope you enjoy this game! Thanks a lot. The above downloadable worksheet is best suited for elementary school students, kindergartners and nursery school students and students with special educational needs, learning difficulties, e.g. dyslexia at Beginner (pre-A1) level. It is a useful material for consolidating Prepositions and Prepositions of place in English.